-I am a newb to remodelling. As such, I will likely be making some mistakes. Please bear with me in that regard, and if you notice anything you think shouldn't be as it is on a model or have any issues, please inform me. Oh, and as such, DO NOT ask me how to do remodelling. Really, just don't. -I will NOT be taking requests. However, I am open to suggestions, just don't be offended if I turn them down. Especially with regards to custom-creating parts. I would like to for example add sideskirts to the Crusader, but that's not something I'll be able to do for awhile so for now I'll be sticking to mostly kitbashing tanks together to make them look pretty. -Still sort of a "request" thing but enough of it's own thing that I'm making it a separate point. I won't be making any "HD Remodels" or importing anything from other games. Just don't even ask. -I have no intention on any of my models to specifically be "historically accurate". "Historically inspired", maybe, but definitely not 100% Historical. -I am entirely open to you taking my models and adding your own reskins or perhaps even editing the model yourself. Just so long as I'm credited it and you're not advertising it entirely as your own, I'm fine with it. With that out of the way, shall we get to it? While I said I wouldn't take requests, I did take note of a thread asking for a M4 Sherman remodel on the NA Forums by rogueHysteria and so here we go. It's not the same tank I previewed on the Remodelling Reposts thread, and I personally have no plans on remaking that, but I still hope it interests some. Due to the tracks on the left side of the turret, I have removed the decal from that side, but otherwise decals/inscriptions should work perfectly fine. Additionally, camouflage has been applied to the Chassis model, since y'know, it looks cool. I'm not super sold on that part right now, as I feel it should be darker perhaps, but I'll probably mess with that more in the future. As this is my first remodel, I highly expect problems. If you have any, please do inform me. Well, it didn't take long for me to make another one. Though this one is pretty simple, it's just taking the sideskirts from the Panther and adding them to the Jagdpanther. I don't own the Jagdpanther myself (I'm not spending like half a mil. credits just to get it either, just for screenshots like the M4 Sherman) so I haven't tested everything, but I'm fairly sure it should be working fine with camouflage, inscriptions and whatnot. It comes with the addition of Chassis camouflage and edited gui icons. Of course, if there are any problems, please inform me. Otherwise, enjoy. One more for the road, it's the M18 Hellcat remodel I previewed on the Remodelling Reposts thread. It's the Hellcat with modified sideskirts and the Sheridan net/whatever on the front of the tank, with some other additions here and there. The inscription and clan emblem on the front of the tank have been moved accordingly since otherwise they'd be completely hidden or just look plain dumb where they originally are, and Camouflage has been applied to the Chassis model. Otherwise, enjoy and inform me of any problems. This one was a remodel of the Wolverine and HD Remodel of the Jackson, but as 9.19.1 Is bringing us a HD Model of the Jackson, I've changed it up a bit. Now it's only the Wolverine, and I've redone the hull (nothing else) as I want it and the Jackson to look different from each other and I'll be using most of the parts from the original one on the new Jackson remodel. Not really much else to say. As always, inform me of any issues and enjoy. This is probably the one that took the longest tbh, which is ironic because at Tier IV I doubt anyone really cares for it and I sure as hell won't play my Pz. III Just because of this. That said, goddamn is it beautiful. If you didn't catch on already, I remodelled the Pz. III J To better resemble a Pz. III M (a la, added schurzen on the turret and hull; two versions, the "full Schurzen" or the "Battle-Hardened", your choice). I was contemplating adding a text change to rename it too, but decided against it (who knows, might add it in later?). It includes applique track armour on the front of the hull (doesn't actually add armour or anything of course, just makes it look cooler), modified emblems/inscriptions to fit the changes (albeit, the hull inscriptions is in a bad spot and I might move it) as well as modified camouflage scaling to better fit the Pz. III IMO. Also, Chassis camouflage, as always. Enjoy and inform me of any issues. Just a small M26 Pershing remodel, adding a few parts to the tank and an option to remove the sideskirts. Y'know, just because. Couldn't really think of anything else to add to it to be honest. As always, any problems, please inform me. I didn't really do much to this beyond the removed sideskirts and adding Milkym4n's Strv 81 Gun canvas remodel to it. But yeah, Centurion 7/1, wooo. As always, inform me of any problems you encounter. If you want to reskin the tank yourself (as Kubana has done for example), you can download a version with the base textures right here. Edited by Desyatnik_Pansy, 10 February 2018 - 10:37 PM. I meant to reserve this post for editing in the future anyway, but atleast I have some use of it now. Already noticed an issue with the Sherman, I didn't bother to preview every inscription and clearly I paid for it. I don't mean to be lazy, but I'll fix that another day and hopefully keep that in mind next time. I lied, I couldn't go to bed thinking about it, so it's fixed now. Already updated to v1.1, probably the fastest time I've updated something. Edited by Desyatnik_Pansy, 03 May 2017 - 05:12 AM. Edited by PauI, 03 May 2017 - 01:16 PM. It's still with a "K"
Edited by TheFalkonett, 03 May 2017 - 06:44 PM. Depends. I haven't changed it in awhile since they changed signatures slightly and so I'll have to remove a bunch of the links for it to allow it, hence I never added the IS Or such to the signature. Considering what to do with it though with this. The spare tracks on the hull & turret don't fit to the M4A1'd chassis, but the crew might not have cared about that and only wanted the added armor (I like to imagine why certain parts are, where they are). Mentioned that in the OP, but I do myself like the idea of them (the crew) using them just for spaced armour. That said, I will change it, just not now or anything. Jagdpanther w/ Sideskirts added to the OP. Nothing really else to it other than of course, Chassis camouflage and modified gui images to add the sideskirts. Let me know if there's any problems. Also, I'll add this to the OP. Like Milkym4n and probably anyone else, I'm totally fine with anyone wanting to take these and edit them. Reskin, or add something else, I don't really mind so long as I'm credited for it and you're not advertising it entirely as your own one like a certain someone. Edited by Desyatnik_Pansy, 03 May 2017 - 12:48 PM. Hold your beer, because I'm not finished just yet today. Here's the Hellcat I previewed on the Remodelling Reposts thread. I might update the M4 Sherman with the tracks later tonight if I get the chance, but otherwise this'll probably be the last unless I get really bored and start working on the Wolverine of Pz. III M.
As always, encounter any issues, please inform me. The M4 Sherman Remodel has been updated in the OP, switching the tracks to now be more in line with.. y'know, the M4 Sherman. I feel like the shadow or whatever on the new tracks (on the hull/turret) when they're not directly exposed to sunlight is a bit too dark which is probably something to do with that they're not likely supposed to be seen from these angles. I might mess with that in the future, but for now, I'll leave it as is. Otherwise, I hope you enjoy. I've just donloaded your M4 Remod which gives the "naked" me some nice "trousers"
After unpacking it there is a 2nd compressed folder which I've unpackes too and there is a folder with the remod files inside. In your readme your've described that the remod files are from different tank textures, but what you've uploaded has only files from the m4 Thunderbold insides. Is that a little mistake or did you made som changes to your remod ?? Would be nice to get an info about that, mate. I was tired yesterday since I've had a ****ed up sleep schedule for awhile, so I probably messed up the upload. I'll check it now (since I just woke up). EDIT2: I removed all of the stuff for the three remodels I have, downloaded them from this page and installed them all with no problems. M4 Sherman looks exactly how it should and has the right files for me, so I'm really baffled as to what your problem is. 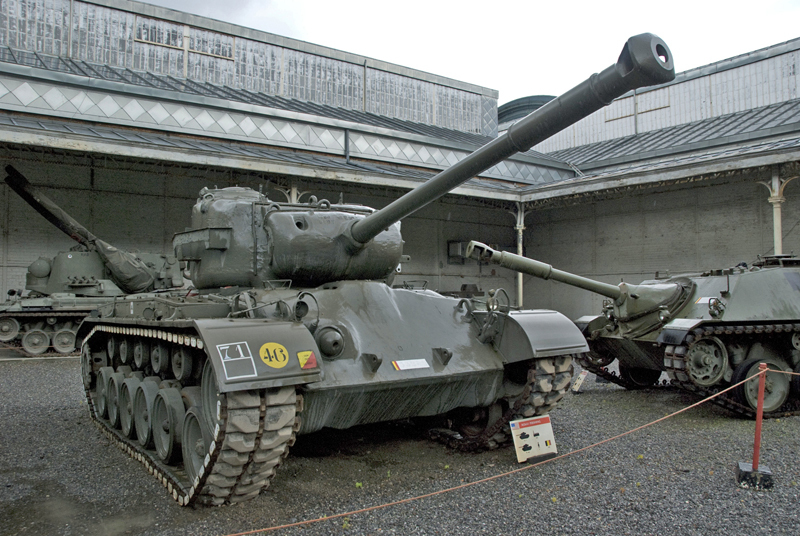 Also, there's an error on the M4 Sherman's hull (thanks to Milky for pointing it out). Notice the tiny line above the tracks on the hull and compare it to the same spot on the base M4 Sherman? I'll try fixing that later tonight, so bear with it. Edited by Desyatnik_Pansy, 04 May 2017 - 06:24 PM. M4 Sherman Remodel updated again, fixing the above problem hopefully. Additionally, I edited the AO For the tracks and the little parts holding them in place to hopefully be more in line with the rest of the tank. As always, any other issues, please inform me. Oh, and I'll be attempting to modify the M10 Wolverine in a similar way at latest on Saturday. Only reason I'm specifically mentioning that is I will be attempting to create it in 3ds Max instead of Blender, so since I'll be a complete newb to that, be especially careful about issues with that whenever I upload it unless I change my mind. Oh, and Krollnikow, please inform me if you have the same problem with the updated download. Edited by Desyatnik_Pansy, 05 May 2017 - 12:55 AM. This was only a test (I did it all in 3ds Max. Feels a bit odd, but I hope to get the hang of it), and I'll be doing this to the Pz. III M Anyway so I'm not uploading this, but yeah. Looks kinda cool if we ignore the overlapping clan emblem. The tracks on the lower plate will also be lower since that bar is there for them anyway, and I'll probably add more for effect. The tracks above them are floating a tiny bit as a result of me not wanting them to clip into each other, but hopefully that won't be the case in the finished product. Almost makes me want to start the Pz. III M Now, but I want to do the Wolverine first. What the Sarge probably meant, is that (for example) your Jagdpanther only contains the "JagdPanter_chassis_01_AO" files, although the hull.visual_processed loads the Panther's hull textures for the sideskirts. If I had a skin for the Panther, that would now also apply to the Jagdpanther's sideskirts. I know what you mean with that, though that is deliberately like that. This is just for anyone who wants to make a skin for any of these that doesn't overlap other models, you'd need to edit the visual_processed files (Notepad++ works for this, though there's probably other programs that can also do the same job) and let's just use the Jagdpanther as an example, modify the part where it says "vehicles/german/G03_PzV_Panther/G03_PzV_Panther_hull_AM.dds" and swap it to "vehicles/german/G18_JagdPanther/G03_PzV_Panther_hull_AM.dds". I wouldn't replace the other parts like the ANM, GMM and AO Unless you're also editing them in some way, and you won't be needing any more than the hull textures for the Panther which you can find in the "shared_content_sandbox" packages (only the top turret textures and whatnot are in the Tier VII Package, so yeah). M10 Wolverine is pretty much done, but I will be editing the textures a bit since I moved a few things before I upload it. I feel quite happy with it, but as always, please point out any issues you have with it. Additionally, since I did the Wolverine, you'll likely see this maybe tomorrow, maybe later. We'll see how fun it is to edit. Well, I think it looks fine. I'll need to mess with the textures since again I moved a few things and then test how camouflage and whatnot looks, but yeah. I was considering a "naked" version (so without the stuff on the turret and the base Wolverine hull) but then I realised because the Hellcat turret was designed with the extra stuff on it, that it'll be a fair bit of editing to make it look good and I can't be bothered with that. Wolverine and Jackson are pretty much done, I'll be adding them to the OP Shortly. For now I just want to highlight that there will be problems, though mostly in the textures I think because I've never really edited textures before (aside from y'know, reskinning, which is pretty piss-easy) and so some parts will definitely look wrong. The one that I think most stands out is this, which I'll be trying to fix a bit before uploading but it might still look bad in the finished version. Bear with me in that regard. M10 Wolverine and M36 Jackson added to the OP (they're the same download, so yeah). As always, inform me of any issues, as I'm heavily expecting some. Also, I might try to edit the camouflage scaling on the Jackson's turrets later as I'm not a fan of it at the moment. Oh, and one other thing. I mentioned this to Fett in a PM. I'll be switching the folder layouts inside the zips from "res_mods -> 0.9.18.0 -> scripts/vehicles/whatever" to just the "scripts/vehicles/whatever)" and what follows. Mostly just means in theory, I won't have to update the downloads just because of a new patch even if the model still works perfectly fine. EDIT: Some in-game beauty shots of the Jackson, courtesy of Strappster for being there so I could actually go into a training room with a 50% Crew in it. EDIT2: Updated the Jagdpanther download in the OP. This has done nothing more than change the folder layout and add the Panther hull AM Textures (with the Hull.visual_processed file edited accordingly) to better help people who want to make a skin for it. Edited by Desyatnik_Pansy, 06 May 2017 - 11:37 PM.